Established by Don and Jenny Patterson in 1992, China Rose Antiques offers a wide range of fine china including Royal Worcester, Shelley, Royal Doulton and much, much more. We also have a selection of Australian pottery from Australia’s leading studio and commercial potteries. 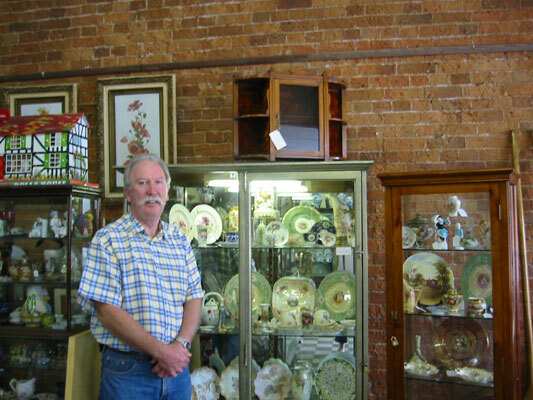 We are located in “Antiques and Collectables on Mercer” at 96 Mercer St., Geelong, Victoria, Australia (View on Google Maps) – only 300m from the Geelong Railway Station if you are coming to Geelong by train. You can contact us on (03) 5221 3553 or Don on 0407 527 857. We offer safe and secure packaging and prompt mailing worldwide. In our packing we use a 100% biodegradable and compostable void filler and recyclable cardboard boxes.